Being just short of a professional degree in painting, I thought I would give you some wall painting tips that may save you time and money. I just went out today to buy a few gallons of paint to redo some walls, and I discovered that the premium paint in the local hardware type big box store was just a penny short of $50 a gallon! I am flabbergasted! I am repainting the walls of a 10 year old house, and it’s just time. Too many nail holes and scratches. 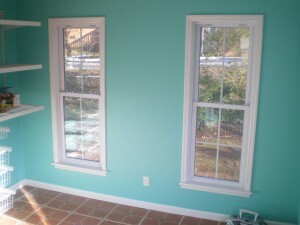 But, this could have been avoided, if we had the original color from the contractor when the house was built. So with budgets the way they are I realized that I have some wall painting tips that may be helpful. 1. First of all, if you are purchasing a new home, insist on getting either a small can of the paint for touch ups and/or make sure and write down the brand, type and color of all the paint used both inside and outside the house. This way, you’ll be able to touch up wall marks yourself for years to come. 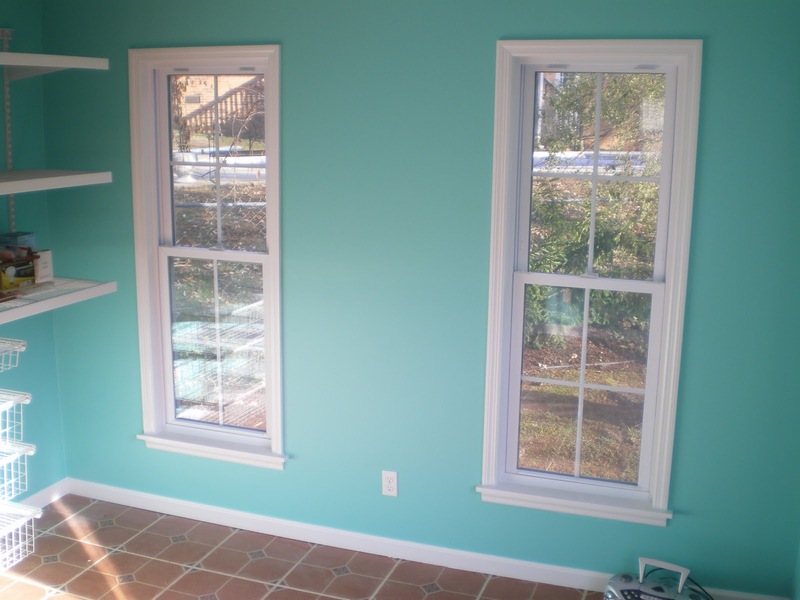 The color matching systems just don’t work and you’ll end up repainting an entire room because your “color matched” paint just doesn’t match. 2. ALWAYS buy good quality brushes. 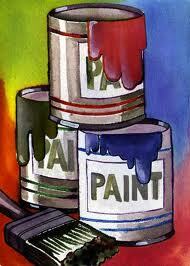 ALWAYS wash your brushes with soap and water (latex paints) or with brush cleaning solvents (oil based paints). And choose the correct brush for the job. Good quality brushes will specify which type of paint they work best with. I have brushes that are still in great shape that I have used almost every year that are over 10 years old. 3. Purchase your roller handles and roller pan one time. 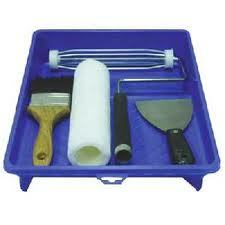 Buy a good quality, washable pan and clean your roller holder of paint when your work is complete. 4. Purchase a canvas drop cloth. The plastic ones never stay in place, you can’t tell if the paint is on top or the bottom, your shoes or socks that you paint in will get all twisted up in them (I told you I’m almost a professional – I have lots of stories!) and they can only be used once. A good quality canvas drop cloth will last you for years. 5. Keep all your painting tools in one plastic storage box. That way, when the next project arises (and it WILL) you will have all of your tools in one easy to buy location. 6. If you have a steady hand, forget the taping. If you don’t, use the good blue painters tape. But don’t trust it because if your paint is too gloopy it can still ooze under the tape. A dryer brush and more trips to the can for more paint is always a safer bet. These wall painting tips can really be relied on for any project. You will save money in the long run if you purchase good tools, take care of them and avoid having to repaint walls AT ALL if you have touch up paint on hand. And when your day does come to paint some walls, the ONLY thing you’ll have to buy, instead of that great new dress you just found, is the paint! With paint at almost $50 a gallon, let’s be smart, paint less often and use our hard earned dollars to go shopping for something that is alot more fun! Have fun! It’s no good unless you’re having fun! 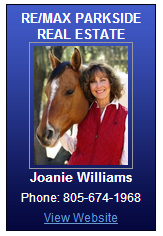 I have lots of real estate advice too, whenever you may need it! I AM a professional real estate broker! This entry was posted in Fun Stuff to Do, Real Estate News. Bookmark the permalink.